This system can be controlled in various ways to create millions of colors including white. Make fun special effects and even respond to sound. A single 4×4 foot floor panel is pictured to the right. 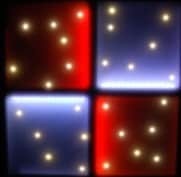 The same as the RGB Dance Floor system with an added white star-field. The stars are controlled separately by a wireless hand-held remote control. The stars can also respond to sound. A single 4×4 foot floor panel is pictured to the left. Each floor panel is 4x4 feet (121.92cm x 121.92cm) and allow you to setup a system any size or shape. 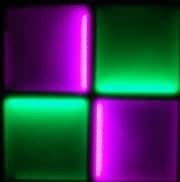 Setup a square floor, rectangle or a runway. With optional adaptors the system may be T or L shaped. Stand-Alone, Sound Sensitive or DMX controlled. It takes only two minutes per panel to assemble. Each panel weighs 63lbs. and is made with a 100% Acrylic surface. Low power consumption and no heat. LED’s are rated for 100,000 hours. 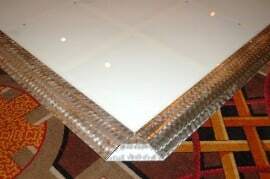 Super safe with beveled edging makes the floor trip proof. 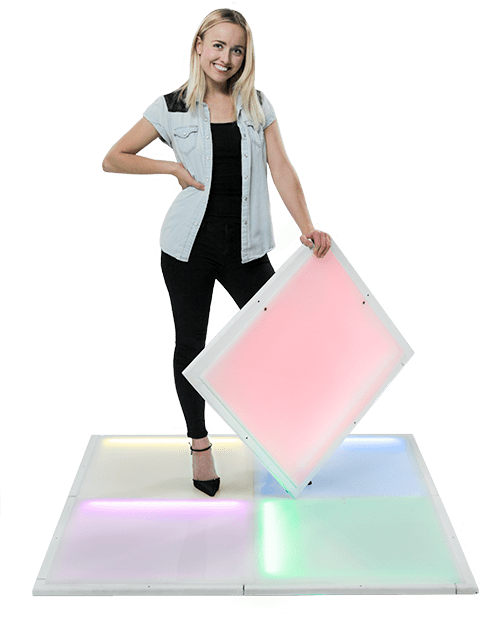 Contact Us Today to Speak with one of our Dance Floor Specialists!